At the Plant and Animal Genome Conference in San Diego, the full genome of cannabis will be presented for the very first time today. Sunrise Genetics is unveiling all of their hard work and it is truly a step in the right direction for not only medicine but also for anyone enthusiastic about marijuana and all of its secrets. Whether a person struggles with chronic pain, anxiety, inflammation, sleeplessness, PTSD or any of the long list of conditions that marijuana has shown the ability to help, finding the exact right strain of marijuana can be a challenge. Most marijuana strains available to the public are hybrids and there is such a large set of choices that consumers are often unsure of which strain would be best for them. 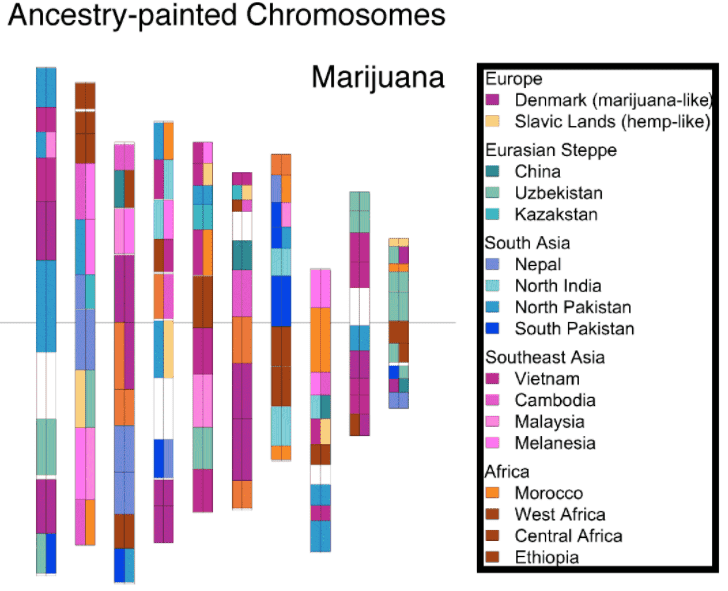 The solution to knowing exactly which strain would stabilize certain conditions lies in the marijuana genome map. Sunrise Genetics’ work began back in 2014 and they utilized the same sort of techniques and equipment used to decipher the genomes of other plants, it simply took the time and effort to uncover all of the secrets of marijuana. The work now involves reading the map and putting the pieces together to develop strains and other forms of marijuana that target conditions and the desired effects consumers are looking for. Have you struggled finding just the right strain of marijuana?